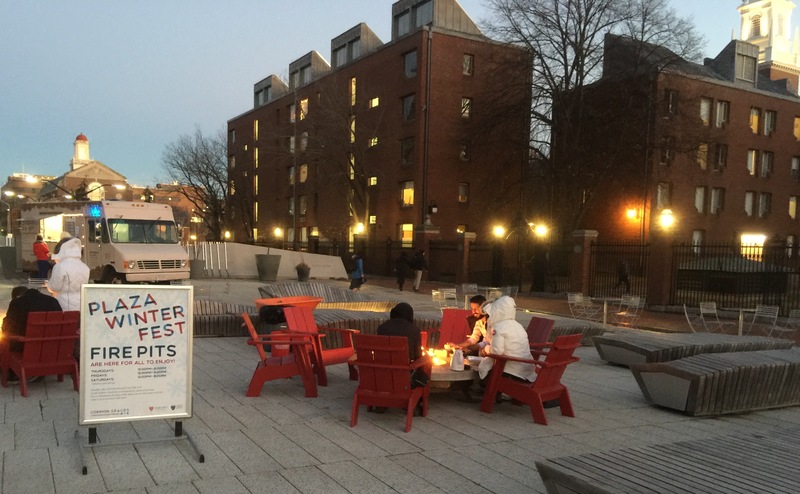 This is the scene from after the NESE launch meeting today: A whole array of cozy outdoor fire pits on the Harvard campus. The launch team (lead by Scott Yockel of Harvard rc.fas.harvard.edu), is deep into pre-production Ceph testing as we approach real production and now including two more RedHat collaborators (Ben England and Patrick Donnelly) from Sage Weil’s group. A 1.2 PB buy-in from the U.S. ATLAS Northeast Tier 2 has arrived. Paul Hsi has switch quotes and is in touch with Augustine and Nick Amento. Jim Culbert discussed the authentication setup and Globus endpoints. Rajiv Shridhar discussed possible use of NESE by MIT/Sloan. Orran Krieger and Saul are planning for an S3 endpoint for the Massachusetts Open Cloud team at Boston University. Devesh Tiwari of Northeastern is assembling a team to provide a strategic technology outlook for the project for the next few years. Chris Hill announced a 1.8 PB buy-in for MIT. With the latest MIT buy-in, NESE will already begin with more than 50% buy-in, even before we start stable operations. This shows confidence in the project and a promising outlook for long term sustainability, which is one of our main goals. © Boston University, Harvard, MIT, Northeastern, UMASS, MGHPCC, RedHat Inc., 2019. Powered by Hugo and Minimal Academic.